Andrew Burdett Design are experts in brochure and large report design. We have planned, designed, produced and printed thousands of brochures and reports over the years. From simple product brochures for small businesses, to large annual reports for international companies, to large project reports with diagrams, tables, maps and charts for the public sector. 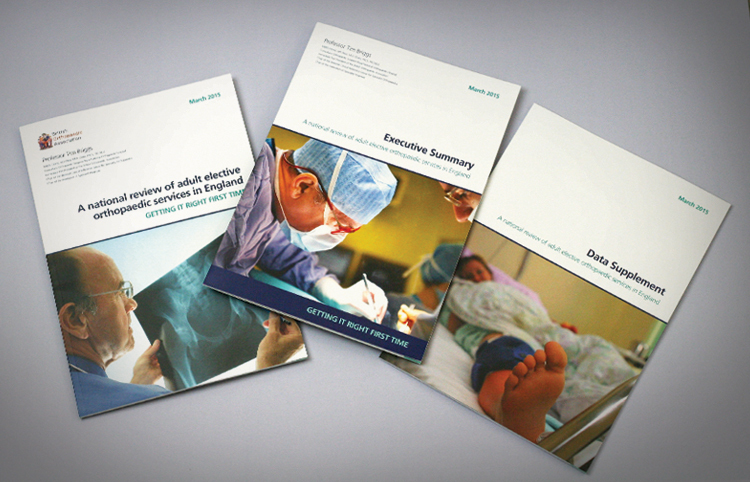 Pictured above are three reports we designed, produced and printed for the Royal Orthopaedic Hospital, summarising 3 years of the GIRFT project teams research for presentation to all the NHS Primary Trusts and the government. The project team were based in Oxfordshire and London, which caused no issues at all. 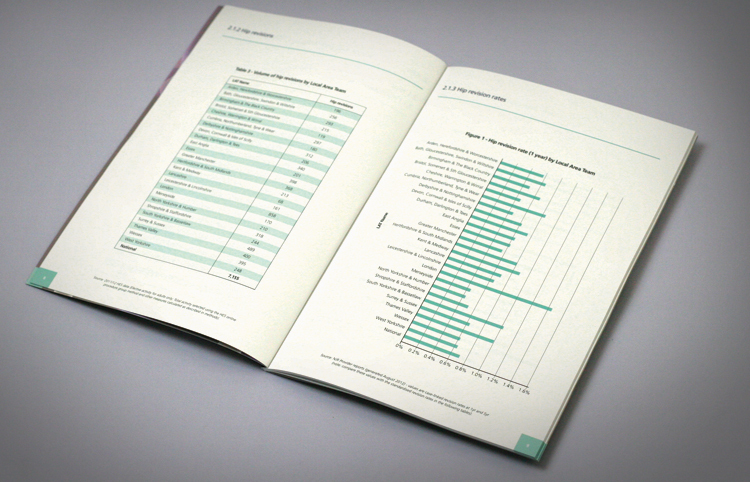 We produced a 16 page A4 executive, 64 page data supplement and a 64 page national report. 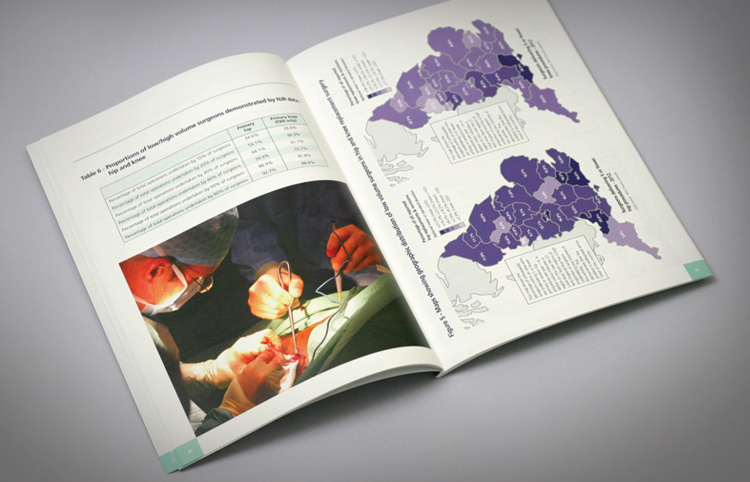 We were involved in all stages of the report design and production including: design concepts, production planning, report print, sourcing imagery, designing maps, creating tables and producing charts. If you have a sales brochure or a report that needs producing for your business or organisation, call the brochure and report design experts. Andrew Burdett Design on 01433 208307.